Keep Fort Ord Wild, the coalition that formed last year to protect open space and trails on the former Ft. Ord, filed suit against the Fort Ord Reuse Authority (FORA) yesterday. The lawsuit seeks to enforce the California Public Records Act and compel FORA to reveal what was done with nearly $100 million in grant money awarded by the federal government, in 2007, for the purpose of cleaning up certain Ft. Ord lands. Since no one has seen any sign of anything resembling a $100 million clean-up effort going on at Ft. Ord, Keep Fort Ord Wild has been attempting, since early December, to find out what the terms of the grant agreement are (exactly what FORA has agreed to accomplish with the money), how much of the money has actually been spent so far, what exactly it’s been spent on, and what results have been achieved. All of this is information to which the public is clearly entitled under the law and no one would expect a public agency administering a grant of this size to have any difficulty providing answers to these questions. Yet, for the past 3 months, FORA has alternated between stonewalling the requests and turning over thousands of pages of documents, most of which have nothing to do with the request and none of which actually answer the questions. They’ve also, incredibly, made statements about lacking access to the information because of having turned the money over to private entities who are responsible for getting the work done (without reporting back to the public agency about how the public’s money is being spent and what’s being accomplished!?!?). We really hope we’ve gotten that one wrong somehow. So what it all boils down to is that FORA either doesn’t know where the $100 million has gone and what, if anything, has been accomplished with it, or they do know and, for some reason, don’t want to say. If it’s the former, then it looks like they’re making a run at the Marina Coast Water District for the title of least competent public agency in Central California. If it’s the latter … well, that would likely mean something even worse. Bottom line is that as long as Keep Fort Ord Wild’s questions remain unanswered it isn’t going to make the job of getting the State Legislature to extend FORA’s mandate any easier. Those working hard to keep the FORA process going might want to have a little chat with the FORA staff and directors about the need to clear this mess up. If they don’t know what happened to the $100 million, or what they were supposed to be getting done with it, they’re going to need to find out – and soon. Click here to read the Petition Keep Fort Ord Wild filed with the court yesterday. This entry was posted on Tuesday, March 6th, 2012 at 3:32 pm and is filed under Courts, Cycling, Politics. You can follow any responses to this entry through the RSS 2.0 feed. You can leave a response, or trackback from your own site. 4 Responses to What Happened to FORA’s $100 Million? I am so proud having people like you bird-dogging the public’s money and protecting our public lands. One note though: as a dog person, I’m concerned that national monument status as advocated might be unduly restrictive to those of us who enjoy walking with our canine companions, since all the national monuments I know do not allow them at all. Any thoughts on this? Looks like Friday’s FORA Board meeting might have some interesting public comments (even though they likely won’t comment due to pending litigation). Agendas can also be found on the FORA website: http://www.fora.org. Friday, March 9, 2012 at 3:30 p.m. 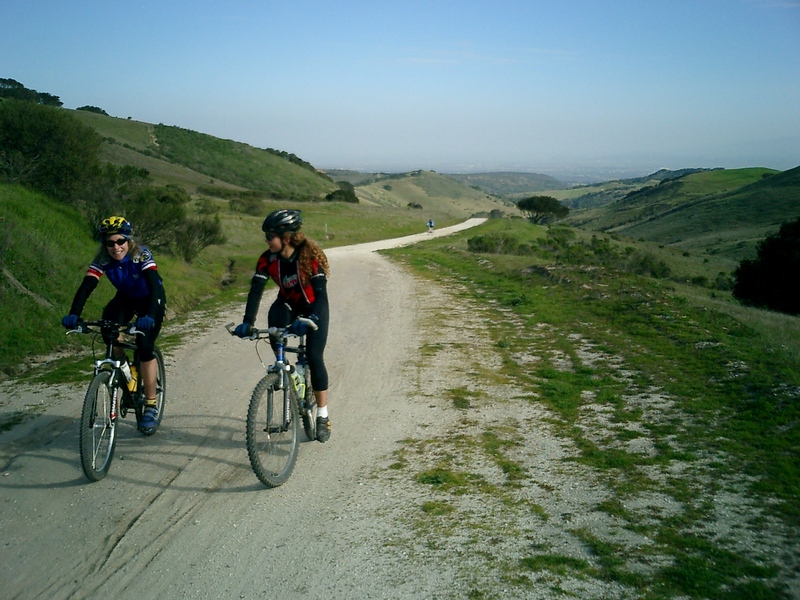 Many user groups and stakeholders are expected to present information, among them the Monterey Off-Road Cycling Association, Fort Ord Rec Users, FORT Friends, Friends of the Fort Ord Warhorse, Return of the Natives, Veterans’ groups, Monterey Youth Hostel, and CSUMB Students. Find out how the status can enhance our recreational opportunities.